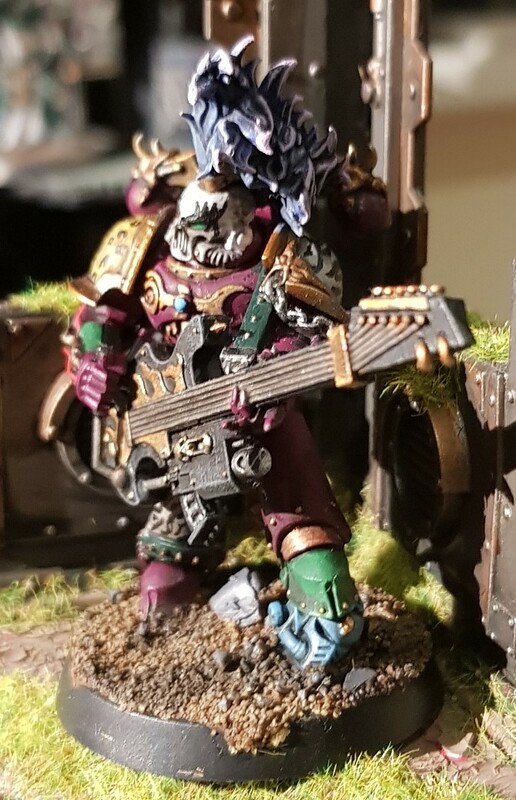 I finaly got round to painting the noise marine i got at Christmas and thought i'd share. 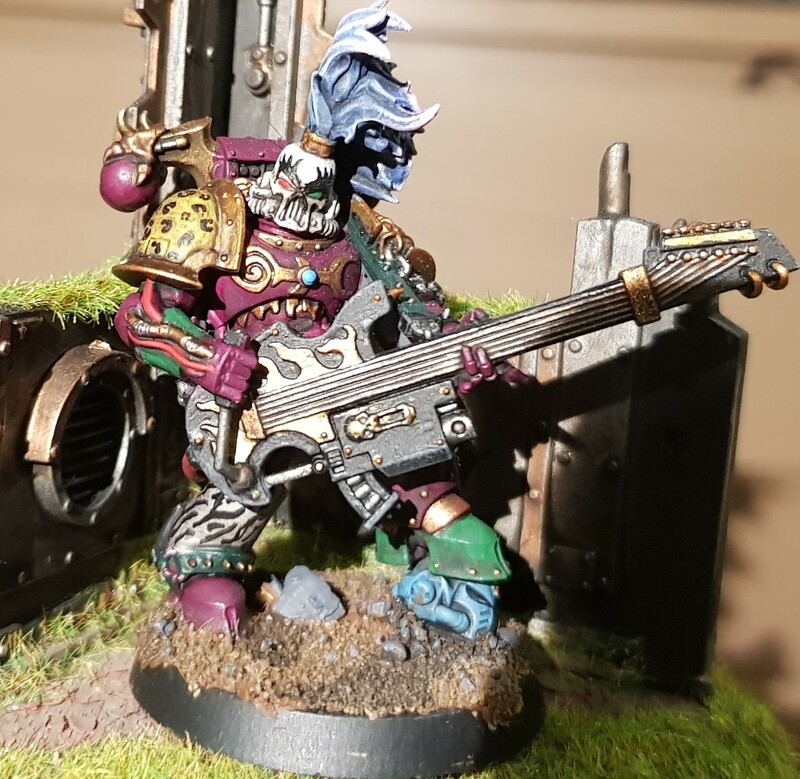 Would love to see how other people have tackled this model, so come on, i've shown you mine, you show me yours! Put it in the so-oul of everyone"
AWESOME work. Is he based on a specific musician- maybe Randy Rhoads? Nice, I love the rainbow effect on the hair. Gene Simmons is a great showman who's imspired rock musicians around the world. You chose wisely. It is indeed, my little homage to Gene Simmons from KISS. I tried making a tongue with green stuff, but i just couldn't get it to look right, you're totally right though, it needs it, lol.